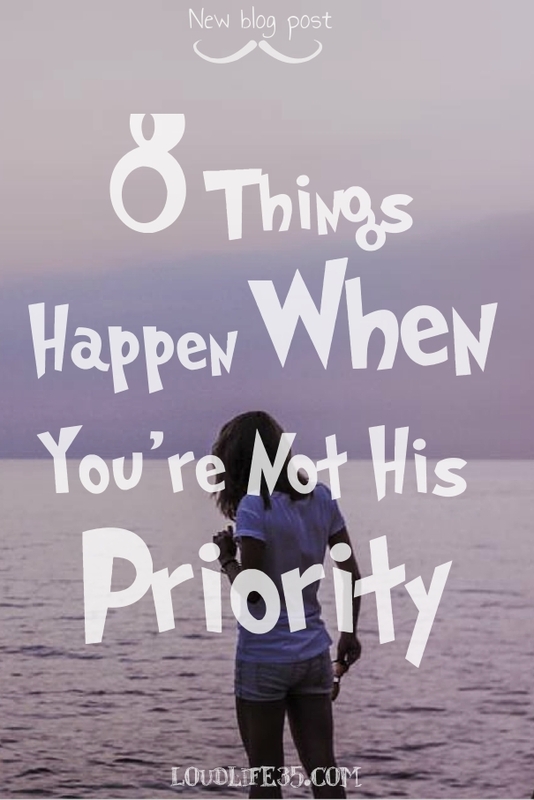 When you're not a priority, you'll probably not be able to talk to him or to see him much, since he'll be always busy on you! you'll feel lonely, you may even feel angry and you may blame him for your situation, it's hard to believe that he truly loves you with being this apart, but you need to trust his love and to stop expecting things from your partner. It's lke being in a relationship where it doesn't feel like you're in a relationship. You'll want to talk to him, to go out with him, but you never receive anything but rejection, and maybe some broken promises and excuses about how busy he had been. You'll help and you'll be there all the time, but nothing in return, when you're in your bad days, don't expect him to listen or to be there as you did for him, don't expect anything, otherwise, you'll get nothing but disappointments. Mostly he will only turn to you when he needs something from you, because for him you're only there for specific needs, when for you, he's your everything, but the thing about it is that he asks it from you with love, he only can't be there for you to turn the favor! that's what makes you feel being used because 'helping' isn't considered as being used as long as it means 'helping each other'. As you become irritated about him, thinking about him all the time, you may say or do stupid things because you feel bad inside, love isn't logical anyway so you'll probably end up to be always the wrong person since you've been too focused on your relationship alone. Comparing your life to his, or yourself to himself, you'll find out that he has a lot to do, a lot of friends, while you almost don't as you consider him your everything and as you're too focused on the relationship! when it is so and you've been called worthless, be certain that it's not about you, you're good enough and you deserve to be loved and cared about! it's about them, their insecurities! if your partner couldn't see how amazing you are, that doesn't mean that you're not! You'll learn how to be independent, and you'll feel the need to take the full responsibility of your own life, you'll start setting up your own life and maybe think again about changing your priorities if you don't want to break your own heart anymore. You'll step out of your comfort zone to start living the real life and to hold on for what matters. 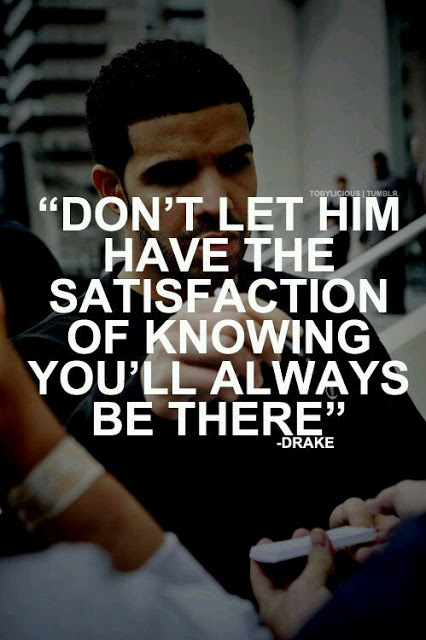 It hurts to know that you're not a priority for someone you love! but this shouldn't make you feel any less, you're good enough and you worth to be cared about! it's something about them! you can't control it! it's whether you accept it or you leave. The good side about it is that your partner will be worthy since you know that your partner is independent and that he has his own life, no one wants to be with a loser! who has no dreams, no life, nothing else to do but being around you all the time, well everything needs to be in moderation! Be positive about it, there's no relationship without problems and ain't no perfect relationship, not being a priority doesn't mean that he doesn't love you with all what he has, he does but not the same way you do love him, you can't control him or ask him to make you a priority! you just need to accept him and change yourself to fit in if you really want to make it work! See it as an opportunity, you'll have enough time to work on your dreams and to do what you love, you'll have enough time to set up your own life! to be somebody that doesn't need a man by her side. And not being a priority doesn't mean that he doesn't need you, it just means that he needs you but not in the same way you do need him! and it's okay, that wouldn't make him love you any less, you'll still be that special one! the only one he loves! actually seeing and meeting people would only make him feel how special you are to have these strong feeling for you like no one else in his life! This is me to THE T!!! ALWAYS GETTING PUT ON THE BACK BURNER when the FRIENDS come first before the WIFE! ! It's his loss, you deserve way too better. You're worth all the care in the world, if you only let go of what's hurting you so that something better takes its place. This is exactly what I'm going through right now...Thanks for the great advice!